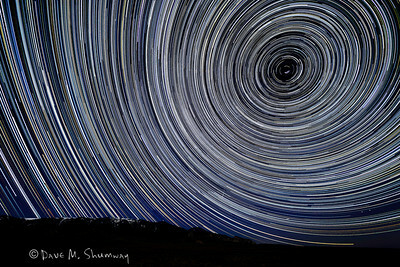 Created from 584 images each image shot with a Canon 5DII and 17-40/4.0L set manually to f/4.0, ISO1600, and 30 seconds. The RAW files were processed in Lightroom 3 then using action scripts they were stacked together in Photoshop CS5 to make this final image. I made the trip down to shoot these star trails and time lapses; but really so that the next morning I could photograph displaying Sage-Grouse on a massive Lek on some remote BLM land. It was calm with perfectly clear sky. The half moon rose during the night and was straight overhead around sunrise, creating good condition (as far as solar/lunar phases go). Before this trip I took time to record my answer to this weeks 'Ask Dave' and that blog post and video can be found here. 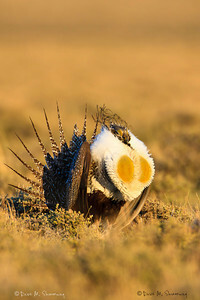 To the left: A male Sage-Grouse displays on a remote Lek near the MT/WY boarder. Captured with a Canon 7D and 500/4.0L IS + 1.4TC III set in aperture priority mode with an exposure bias of +2/3 at f/7.1, ISO400, and 1/640th of a second. Mounted on a Gitzo 3540XLS and Induro GHB2 with custom long lens support. Photographed from within a ground blind. 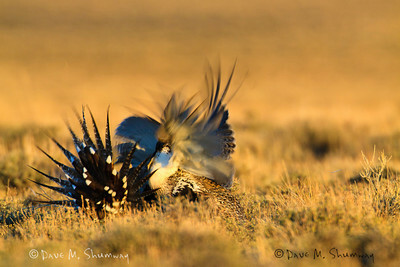 Two male Sage-Grouse fight on a remote Lek near the MT/WY boarder. Captured with a Canon 7D and 500/4.0L IS + 1.4TC III set in aperture priority mode with an exposure bias of +2/3 at f/7.1, ISO400, and 1/320th of a second. Mounted on a Gitzo 3540XLS and Induro GHB2 with custom long lens support. Photographed from within a ground blind. I got the opportunity to capture strutting Sage Grouse and all their antics from a lek near Dubois, Idaho about a week or so before. Pretty cool to see and hear and also enjoyed Burrowing Owls and Horned Larks that were making use of the area, too.